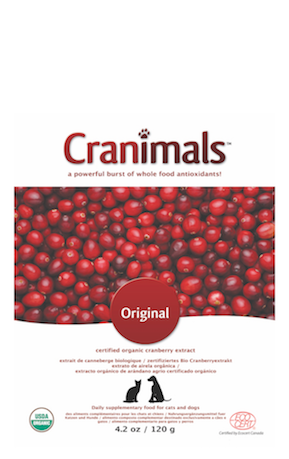 Cranimals™ Original is a proprietary extract made from 100% certified organic cranberries. Cranimals™ Original is vegan and non-GMO. An independent veterinary trial published in the American Journal of Veterinary Research. vol. 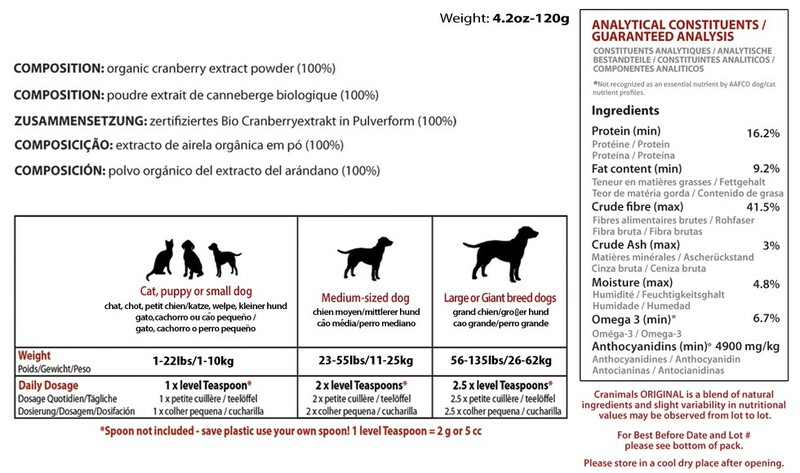 77 (4), 2016. found that Cranimals Original prevented urinary tract infections in every single pet receiving the product, and that Cranimals Original had equivalent performance to a common antibiotic prescribed for UTIs in pets, when following dosage directions on the label.